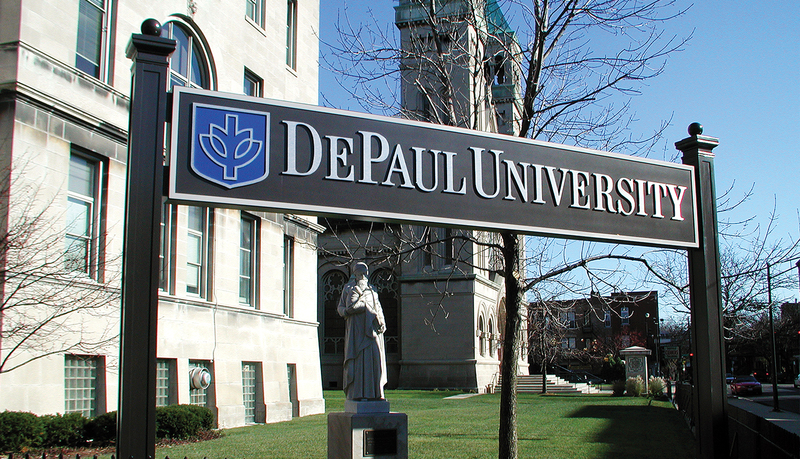 The DePaul University, located in Chicago, IL, was founded in 1898 and has grown to become the country’s largest Catholic university. The university is nationally recognized for its high quality academic programs and commitment to service learning, while offering a practical, flexible curriculum that leads to enriching professional careers. 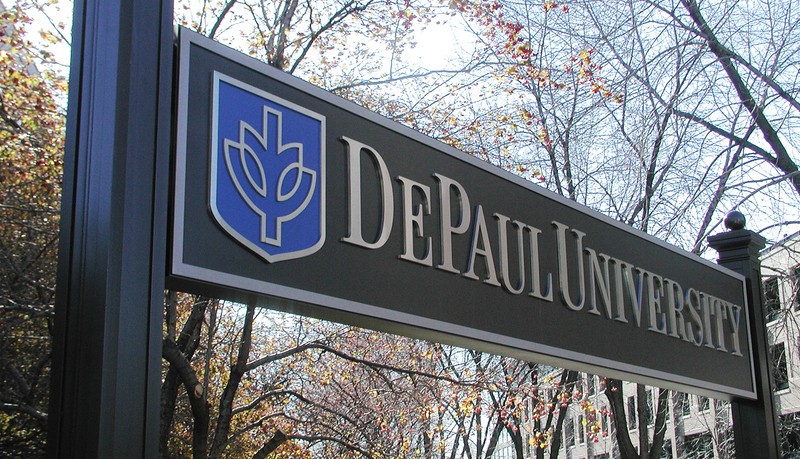 DePaul serves more than 23,000 students across a broad range of ethnic, religious, geographic and economic backgrounds. 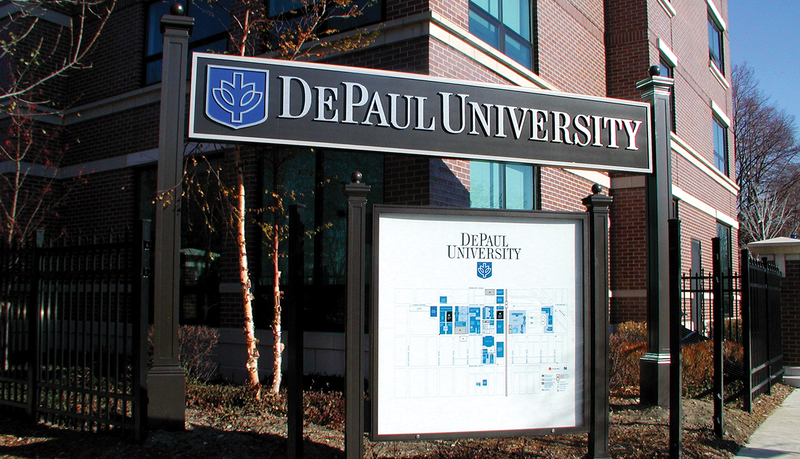 DePaul is the largest private educational institution in Chicago, with city campuses in the South Loop and Lincoln Park neighborhoods. The university commissioned Vasilko Architects and Associates, Inc. to design a solution that would increase brand awareness and establish consistency in its graphic identity on both campuses. 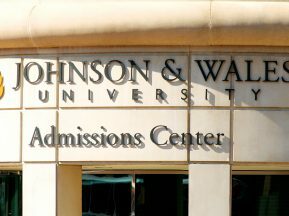 Vasilko Architects and Associates, Inc. needed a partner to deliver an exterior signage solution for the university. 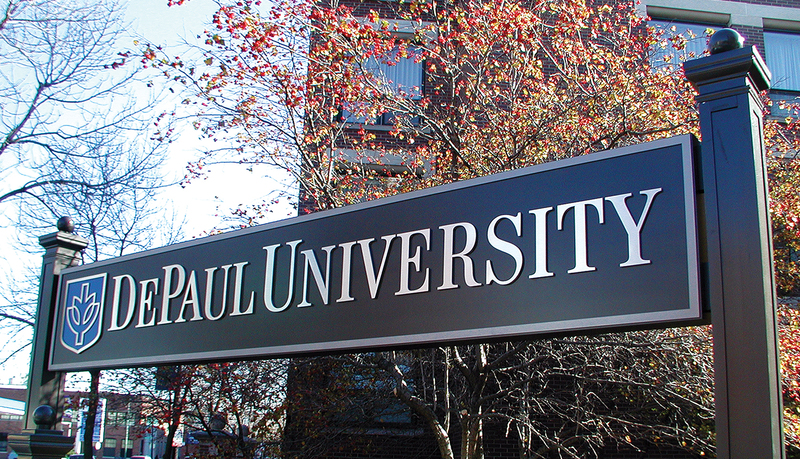 After meeting with the client to scope the project, ASI analyzed both campus locations to help recommend a final signage solution including product and wayfinding recommendations. 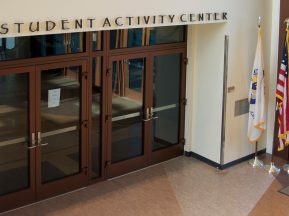 Based on the heritage of the university, ASI sought an elegant yet durable solution that would make an immediate impact while meeting the branding, wayfinding and identification needs of students and visitors. The exterior signage requirements called for a solution of significant proportion to ensure visibility from a distance and from the area surroundings. 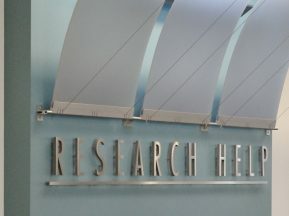 To create the level of detail and provide a traditional feel, the complete signage solution was fabricated through use of aluminum panels and stainless steel dimensional letters mounted with fiberglass and steel finials. This custom exterior solution is comprised of free standing directories and wall mounted and freestanding I.D. 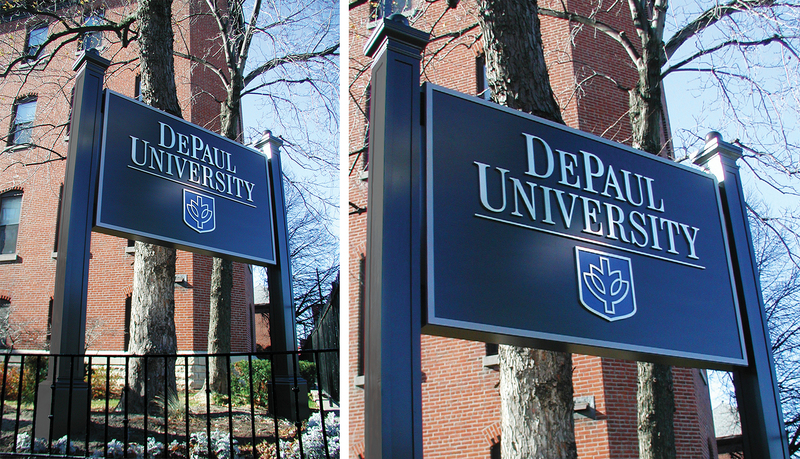 signs with the DePaul Tree of Wisdom logo integrated into each design. 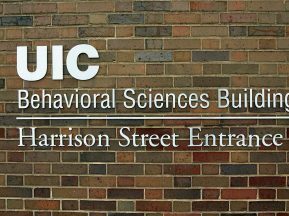 ASI fabricated and installed the final solution at both campus locations, providing a graphic identity that will remain appealing and endure for many years. Vasilko Architects and Associates, Inc.